It runs like a champ with lots of usable options and features plus great customer feedback. But can you look forward to many years of happy processing with it? My Cuisinart FP-14DC Elite Collection food processor review takes a thorough look at this model, so you can add it to your must have list or buy it if it has what you’re looking for. If you’re like most people food processor shopping, you’ve probably been researching and looking for weeks or even months to find just the perfect model for you. My best advice to you is to get the best machine your budget can afford and make sure it has all of the features you need and would use. Visualize yourself no longer spending endless hours in the kitchen slicing, dicing and chopping by hand. Wouldn’t it be amazing if you could cut your food prep time down to more than half the time it’s now taking you? 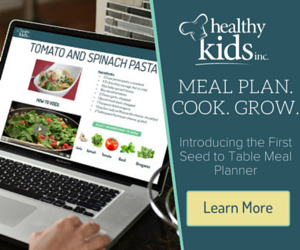 Wouldn’t it encourage you to incorporate healthy cooking into your lifestyle and try out new recipes? You probably already know this, but a good and powerful food processor can get you there. It’ll save you loads of time and money. You’ll be able to quickly and easily make your own nut butters, bread, baby food, pesto, hummus and more. So you can stop buying all those prepackaged stuff that contain a bunch of additives and preservatives. Some people love it and some people swear they’ll never again buy another Kitchen aid product after their experience with this particular model. What could possibly elicit such a response? My KitchenAid KFP0711cu 7 Cup food processor review is going to alert you to a common mistake some users are making. This is going to save you the aggravation of having to pack up the whole kit and caboodle and ship it back (if you bought it online) or return it to the store. A combo food processor and blender may seem ideal because not only do you get two items for the price of one, it also saves space, perfect if you have a small kitchen. But what are you giving up? Can you expect the same performance if you were to buy a dedicated blender or food processor? My DeLonghi DFP250 food processor with Integrated Blender review highlights the strengths and the weaknesses of this dual function machine. In my experience dual purpose machines don’t always perform both functions equally well. So how did the DeLonghi food processor blender combo fare? Do users love it or hate it? Read on to find out what it does best. I was browsing through a recent issue of my “Shop Smart” magazine when I spotted it. Then I did a double take when I saw the price. It costs how much? Was that a misprint? Google it, nope that’s the price alright. What makes a food processor cost that much money? I had to find out. Here’s my Breville BFP800XL/A Sous Chef Food Processor review, take a look and see what I uncovered. The the Breville Sous Chef 800XL food processor comes with everything except the kitchen sink. It has every attachment you’ll ever need and they all store nicely in the included storage case. But is it overkill? Well that depends on your own individual needs in other words what will you be using the machine for. Shopping for a food processor can be a real hassle with so many brands and models to choose from, add to that the wide range of pricing from under $30 to well over $300. If you are considering the Cuisinart brand, my Cuisinart-DLC-2009CHB-Prep-9 9-Cup Food Processor review can help you decide if this particular model meets your needs. There is no arguing the fact the a food processor is a very convenient and versatile kitchen tool, but can this model replace your other trusted kitchen tools like your mandolin slicer, shredders, or mini chopper? Will it become your favorite small appliance? The DLC-2009CHB-Prep-9 has great reviews and come from a trusted brand, but does that guarantee that it work as advertised? Let’s get right into the review and see what we can find both good and bad on this model. In writing my review these are some of the positive things that are being said about this particular Cuisinart model. Quite a number of the reviews are from die-hard Cuisinart fans, some on their second or third food processor. This model boasts a large capacity and a powerful motor to tackle all those tedious and time consuming kitchen tasks, not to mention that it looks good on your countertop and complements your other stylish appliances. Is there anything lacking in this model? Is it worth the price? Let’s go over the features together and we’ll figure out if this is the right food processor for you. Update: This model is discontinued and is being replaced with the Cuisinart DFP-14BCNY 14-Cup Food Processor. The Hamilton Beach 70740 8-Cup Food Processor comes with a budget friendly price, its users rave about its lightening speed in chopping, slicing and dicing, but is it too good to be true? Can you expect great performance at such a low price? What are you giving up in exchange for such a low price? My review tells you everything you need to know about this great little food processor. However, because of its limitations it might not work for everyone. Let’s dive into the details so you can decide if this will work for you. With a bargain basement price tag, the Black & Decker FP1600B Food Processor may first appear to be a real bargain, but is it? Could such an inexpensive machine really work? Could it do a good job of chopping, slicing and shredding? It comes in a sleek black color, is compact and lightweight (weights only 6lbs) and budget friendly, so what more can you ask for? My review gives you the highs and lows of this food processor, which will hopefully help you decide if it is right for you. Diabetic Cooking Tip: Use herbs and spices to enhance the flavor of your recipes – not sugar or salt. (Add most herbs towards the end of cooking for maximum flavor.) And while salt won’t raise your glycemic index, it can cause high blood pressure – something often associated with diabetes; especially when obesity is involved.